What is the main approach for hazardous area classification and which standards apply? The area classification should be carried out when the initial process and instrument lines diagrams (P&IDs) and initial layout plants are available and confirmed before plant start-up. Reviews shall be carried out during the life of the plant. Note that in the cases of activities other than those of normal operation, e.g. commissioning or maintenance, the area classification may not be valid. It is expected that this would be dealt with by a safe system of work. What are different grade of releases? As per AS/NZS 60079.10 three different grade of release have been defined. Release which is continuous or is expected to occur frequently or for long period. Release which can be expected to occur periodically or occasionally during normal operation. Release which is NOT expected to occur in normal operation and, if it does occur, is likely to do so only infrequently and for short period. A continuous grade of release normally leads to a zone 0, a primary grade to zone 1 and a secondary grade to zone 2. Type of ventilation, however, has impact on classification and may lead to different results. How is equipment grouping in hazardous area classification? Equipment intended to be used in hazardous areas are categorized in three different groups. Electrical equipment of group I is intended for use in mines susceptible to firedamp. For group I applications, the surface temperature shall be limited to 150ºC. Equipment marked IIB is suitable for applications requiring group IIA. Similarly, equipment marked IIC is suitable for application requiring group IIA or group IIB equipment. Group II is applicable for gases and vapours. Note that while mists are identified as a form of hazard, the assessment criteria used is standards for gases and vapours (including AS/NZS 60079.10) may not apply to mists. Mists which can form through leaks of liquid can be flammable even though the liquid temperature is below the flash point. It is therefore important to ensure that clouds of mist do not occur. Equipment marked IIIB is suitable for applications requiring group IIIA. Similarly, equipment marked IIIC is suitable for application requiring group IIIA or group IIIB equipment. What is definition of EPL? EPL stands for Equipment Protection Level and is an assessment showing the suitability of equipment to be installed in hazardous areas. EPL Ma: Equipment for installation in a mine susceptible to firedamp, having a “very high” level of protection. EPL Mb: Equipment for installation in a mine susceptible to firedamp, having a “high” level of protection. EPL Ga: Equipment for explosive gas atmosphere, having a “very high” level of protection. EPL Gb: Equipment for explosive gas atmosphere, having a “high” level of protection. EPL Gc: Equipment for explosive gas atmosphere, having an “enhanced” level of protection. EPL Da: Equipment for explosive dust atmosphere, having a “very high” level of protection. EPL Db: Equipment for explosive dust atmosphere, having a “high” level of protection. EPL Dc: Equipment for explosive dust atmosphere, having an “enhanced” level of protection. For example an Ex d device (flameproof enclosure) can be used for EPL Gb or Mb. Traditional relationship of EPLs to zones is as below (no additional risk assessment risk assessment is required). This is not directly applicable for mines susceptible to firedamp, as the zone concept does not generally apply. Where a risk assessment is carried out to assess consequences, Gb can be installed in zone 0, and Gc can be installed in zone 1. Note that equipment EPL Mb is de-energised when explosive atmosphere present. Equipment other type of EPL than Mb, remains functioning when explosive atmosphere present. For group I, equipment marked as EPL ‘Ma’ is the only equipment allowed to be kept energized when the gas concentration in the general body of air exceeds 25% of the LEL. Which type of gases must be considered lighter than air? For practical applications, a gas or vapor which has a relative density below 0.8 is regarded as being lighter than air. If the relative density is above 1.2, it is regarded as being heavier than air. Between these values, both of these possibilities should be considered. Care needs to be taken when classifying areas containing cryogenic flammable gases such as liquefied natural gas. Vapors emitted can be heavier than air at low temperatures and become lighter than air on approaching ambient temperature. Which rule applies to zones overlap? When zones created by adjacent source of release overlap and are of different zonal classification, the higher classification criteria will apply in the area of overlap. Where overlapping zones are of the same classification, this common classification will normally apply. Consider an instrument has been certified by CSA based on Canadian standards (for example ABB 268HD Pressure Transmitter), and an IS barrier certified by other acceptable certifying body based on IEC standards (for example P&F barriers). As they are not certified based on the same standards, Can I use them together in my design? Provided there are no restrictions on using a different certified barrier noted on the certificate of the transmitter etc., the use of an IEC certified barrier with any IS device is not generally a problem provided all the parameters are acceptable. There are Ex equipment certifying bodies accepted by Australian Industry. For example CSA which is Canadian organization and certifies equipment based on Canadian Standards. How these pieces of equipment can be used in Australia? CSA is not acceptable in Australia without some other form of assessment typically a CAD. You require a CAD for anything other than IEC, ANZ or AUS certified devices. As EX nA is similar to the Ex e technique, is it necessary to document motor protection capability to disconnect the circuit in motor locked current condition for less than tE? What if tE is not given in certificate (in case of Ex nA)? Ex nA is the same as Ex n and therefore it is not necessary to record any locked rotor trip times etc. In AS60079.14 part 11.3.5 for protection type of Ex d, in case of using a motor with soft-starter, is given “the effectiveness of the temperature or proper run up shall be verified and documented”. Shall this documentation be provided by manufacturer of motor, manufacturer of soft-starter or by designer? Is this documentation same as checking circuit protection considering tE (same as EX e)? The Clause you have quoted (11.3.5) is for Ex e only. Ex d is covered under Clause 10.6.2 but the wording is the same. The information should be obtained from the Soft Starter manufacturer or by test and then you record the data. A word of caution here, if the motor is an EX de type (with an Ex e terminal box) make sure the box cannot get hotter than the T rating of the motor especially when using a soft starter as the higher frequency or voltage may over-range the temperature. Must electrical consumers located in hazardous areas be protected via RCDs? “All electrical equipment shall be protected against the harmful effects of short-circuit and earth faults”. “In a TT or TN type system, a residual current device (RCD) with a rated residual current not exceeding 100mA shall be used”. Clause 7.1 refers circuit breakers, fuses, earth fault, RCDs and fault loop impedance not just RCDs. RCDs are not required to protect motors etc. but you have to do a fault loop calc. or test to insure the circuit breaker/ fuses will trip within the prescribed time or before touch potential limits are reached. GPOs, lighting circuits etc. Must have an RCD as per AS 3000. Should any special relay to be considered in motor feeders of which the motor is located in hazardous areas? “Precautions shall be taken to prevent operation of multi-phase electrical equipment (e.g. three-phase motors) where the loss of one or more phases can cause overheating to occur. In circumstances where automatic disconnection of the electrical equipment may introduce a safety risk which is more dangerous than that arising from the risk of ignition alone, a warning device (or devices) may be used as an alternative to automatic disconnection provided that operation of the warning device (or devices) is immediately apparent so that prompt remedial action will be taken”. 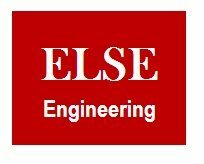 Loss of phase for multiphase equipment is mandatory. Usually the motor overload takes care of this but if not then a phase loss relay must be installed or replace the overload with one that includes phase loss protection. There is an EX-d motor in Zone 1 area need to be installed with a soft-starter. The motor has not been type tested as a unit in association with the soft start device. Considering the d-type of Ex protection, Does motor need to be protected by direct temperature control? You are correct. The motor may be protected by imbedded thermistors that disconnect the motor from supply. The problem is our Ex-d motor which is going to be installed in zone 1, and will run in association with the soft start device, does not have imbedded thermistors. The supplier recommended using Machine Thermal Relay (49) in MCC instead. Sorry, must be direct imbedded thermistors. When the certificate for equipment expires what impact does this have on the equipment? Does this mean it cannot be installed if it has not been already been installed. Yes, the equipment is OK to use provided it was manufactured within the period of certification. AS/NZS 60079.14 Clause 4.3.1 page 16 last paragraph. Can I concluded that ‘ia’ protection is not acceptable via IS calculation. The Annex A in AS/NZS 60079.14 is not for Ex ia installations. It is for more than 1 associated device connected in an Ex ib installation not an Ex ia installation. This practice is not acceptable in an Ex ia (Ga) installation. If we have more than 1 associated device then their method of connection must be taken into account, for example 2 devices connected in series or parallel. In series, the circuit current is affected while in parallel the circuit voltage is affected. This is why an assessment must be done for 2 associated devices, not for a single device. Annex A2 must also be used in conjunction with Annex B1. See Annex 2 (a) as an example. This is not intended for any Ex ia installation. All single device installations are carried out in accordance with AS/NZS 60079.14 sect 12 or for Fieldbus AS/NZS 60079.27, including the entity calculation which satisfies the requirement. Shall I consider solenoid valve as “an instrument vent, primary degree of release” or “a normal valve, secondary degree of release”? The Solenoid valves, in this case, are used to close or open big valves (actuators) by connecting gas pressure. While one of them is closing the actuator, another one release a small amount of gas confined in the tube. Is the operating medium gas or instrument air? If it is gas, then the zone around the vents would be Zone 1(normal release) but the flanges would still be zone 2 (abnormal). What are definitions for thermal and dynamic current limits for Ex-e equipment? r.m.s value of the current required to heat up the conductor within 1s from the temperature reached in rated service at the maximum ambient temperature to the limiting temperature. Peak value of that current, the dynamic effect of which the electrical equipment can sustain without damage. What is the designed temperature range of Ex-e equipment? Electrical equipment with type of protection ‘e’ is designed for use in an ambient temperature range between -20 ºC and +40 ºC, unless otherwise mark. Is there any recommendation for selection of cables used for Ex-e equipment? Where not specified, the current rating given in AS 3008.1 for the following wiring configuration shall be used. Conductors shall not be bunched in numbers that can produce excessive temperatures. Note: it is recommended that, where each conductor carries its rated current, the bunch should not exceed 6 conductors (AS 2381.6-1993). Can non-metallic conduit systems be used in hazardous areas? Non-metallic conduit systems are not permitted in either Zone 0 or Zone 1 areas, but are permitted in Zone 2 areas. Unused cable entries shall be closed with plugs which maintain the degree of protection appropriate to the application, at no time less than IP54. Why Ex-e motors are rated less than normal motors with the same frame size? When selecting an increased safety motor it should be born in mind that the output is less than that of a standard motor of the same frame size. It is because the temperature rise of an increased safety motor at rated output is reduced by 10 ºC for insulation classes A, E, B and F and by 15 ºC for class H compared with the temperature rises permitted on standard motors. Compliance with a minimum tE may necessitate an even more severe output limitation. Is there any limitation for tE in Australian standards? tE = 5 s is the minimum permissible time. Please refer to AS 2380.6 for more details. The tE times are the time taken to reach the limiting temperatures from the temperature reached in rated service and in the maximum ambient temperature (normally 40 ºC) when the motor is carrying the starting current (IA) with the rotor at rest. What is the maximum permissible rotor temperature of Ex-e protected motors? In most cases, 300 ºC would be the maximum permissible rotor temperature during the stall condition or thermal stability reasons. However, higher temperatures for the stall condition are not excluded provided that the rotor temperature during the starting condition does not exceed 300 ºC. What if starting time of the motor exceeds the tE time? It is preferable that the starting time of the motor should not exceed the tE time to be quite certain that the motor protection device will not trip the motor during the starting period. In cases which this is not achievable, a starting time up to 1.7 times the tE time may be acceptable (see AS 2380.6). This longer time is permissible because of the reduction in the starting current towards the end of the acceleration period. However, it is recommended that where the starting period exceeds the tE time, the motor manufacturer should be consulted so that the time required to reach the critical limiting temperature under the starting condition, can be established. What is the impact of low voltage on Ex-e motor starting? The low voltage will have the effect of reducing the motor torque during starting period (torque is proportional to the square of the voltage) and therefore will increase the starting time. On the other hand, the starting current will be reduced in proportion to the voltage. Since the temperature rise in the motor and in any external motor protection device is proportional to time and the square of the current, the increased time and reduced current tend to compensate each other. However, where the voltage during the starting period is significantly below nominal (say, 10 % or more) the motor manufacturer should be consulted for more accurate information on the starting current and time for the particular voltage condition. Is there any limitation for successive start of Ex-e motors? In case where the starting time is shorter than the tE time, there should be no difficulty in accommodating more than one successive start from the hot condition. Where the starting time approaches the tE time, a special cooling period between starts will be necessary. What is recommendation for selection of remote mounted current sensitive type of device for Ex-e motors? The remote mounted current sensitive type of device is not normally certified and therefore requires careful selection by the user. The important considerations when selecting the device are as follows. The time to trip when carrying the current equivalent to IA (Start current) must be less than the tE time. A tripping time of 80% of the tE time is recommended to allow for tolerance and draft. It is also recommended, where the devise is of the thermal type, that the “Cold” tripping characteristic curve of the device should be used to cater for the motor being started after a short interval when it is at almost its normal running temperature but when the protective device, being of lower thermal inertia, has cooled to the ‘Cold” condition. The characteristic curve of the device should be related to an ambient temperature of 20 ºC or such lower temperature as may apply to its environment. The device should be of the three element type and should provide “Close” overload protection during normal running and should provide single-phasing protection. It is recommended that the time/current tripping curve should be asymptotic to the current axis at 105% In. The device should keep to the stated values of the time delay within the limits of ±20%. The device should be mechanically robust and suitable in all respects for its environment. It is important that the user should check that the tripping time of the device (when the current is equivalent to IA) taken from the manufacturer’s time/current curves is less than the tE time, taking account of all the above factors. What is the minimum size nominated for conductors used in IS circuits? [AS/NZS 60079.14, 12.2.2] The diameter of individual conductors within the hazardous area shall be not less than 0.1 mm. This applies also to the individual strands of a finely stranded conductor. Does interconnecting cable used in IS circuit need to be protected? Interconnecting cables shall have an overall sheath, unless protected by conduit, cable duct, enclosure or other equivalent means. Is it possible to install barriers in hazardous area? Barrier devices can be installed in hazardous area provided that they are afforded protection appropriate to those areas, Barrier devices shall not be mounted in Zone 0 areas (AS 2381.7, 3.6.3). What if the parameters of the cable used in IS circuit are not available for IS calculation? 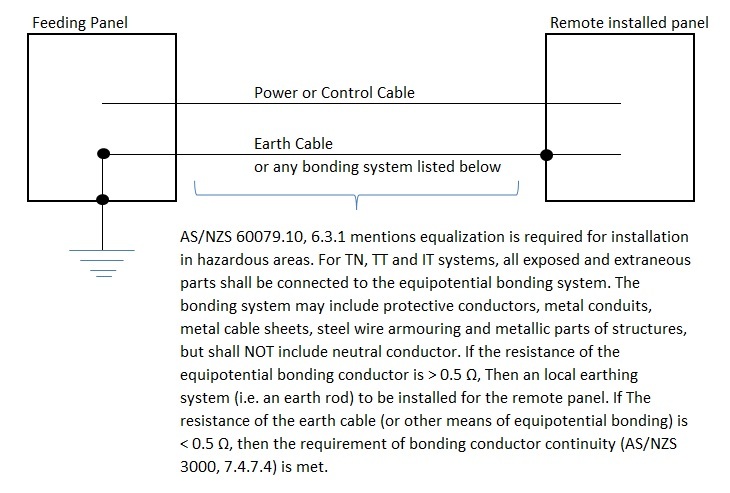 Values below can be used where the interconnection comprises two or three core of a conventionally constructed cable (with or without screen), (AS/ANZ 60079.14, section 12.2.2.2). Cable characteristics may be obtained from the manufacturer or the values specified in AS 2381.7, A4. Alternatively, the following cable characteristics represent probable maximums (AS 2381.7, section A4). If the parameters are only specified in the system certification for group IIC they may be multiplied by 3 for group IIB, by 8 for group IIA, or by 10 for group I installations. Note: When a system contains both lumped capacitances and lumped inductances the interaction of this may increase the risk of ignition capable sparks. This concern is confined the fixed inductance and capacitance and not to the distributed parameters of cable. Consequently, on those rare occasions when both the lumped inductance (the sum of Li of the source of power and the field devices) and lumped capacitance (the sum of Ci of the source of power and the field devices) are greater than 1% of the respective output parameters of the source of power Lo and Co then the permissible output parameters are both to be divided by two. However, the maximum external capacitance Co delivered by simple rule shall be limited to maximum value of 1 µF for group IIB and 600 nF for group IIC. What does X or U mean in marking Ex equipment? In marking of Ex apparatus, “U” identifies the fact that the equipment in question is an “Ex component” and cannot alone be used in an explosive atmosphere. Note that Ex cable glands are not considered as “Ex component” and cannot be marked with the symbol “U”. The symbol “X” appears when there is special condition necessary for the safe use of the apparatus and these cannot be identified effectively on the apparatus label. The symbol “X” is not used for Ex components. Therefore the symbols “X” and “U” are never used together. What degree of protection (IP) is applicable for glands installed in hazardous areas? With the exception of Exi equipment, glands must be certified to the Ex protection technique for the equipment they are being used on. The requirements of AS/NZS 60079.14 clause 9.3.12 shall apply. Uncertified gland permitted for Exi applications. The minimum degree of protection (IP) applicable for glands depends on the type of hazardous area in which glands are installed. Cable glands normally do not have a temperature class or ambient operating temperature range marking. They do have a rated service temperature and unless marked, the service temperature is by default in range of -20ºC to +80ºC. If different service temperatures are required, care should be taken that the cable gland and the associated parts are suitable for such application. How can a fieldbus be used in hazardous areas? If fieldbus systems are used in hazardous areas, the corresponding explosion protection measures must be taken. The intrinsic safety explosion protection method offers the advantage that fieldbus stations can be disconnected from or connected to the transmission line during ongoing operation. If fieldbus segment is designed in intrinsic safety ignition protection type, proof of intrinsic safety must be provided. To make this proof of intrinsic safety as simple as possible, there are two different methods. The FISCO model was developed by the German Federal Physical Technical Institute (PTB). FISCO stands for Fieldbus Intrinsically Safe Concept and is standardised in the IEC 60079-27. Maximum possible cable lengths are lower than for the FISCO model. For the proof of intrinsically safety according to the Entity model, it must also be determined for comparison of voltages, currents and outputs that the inductances and capacitances connected to the field barrier do not exceed the maximum permissible values L0 and C0. The following rules apply in general. What are restrictions on wires or cables installed in hazardous area? The following wiring systems shall not be installed in hazardous areas. Earth sheath return (ESR) wiring systems not insulated to the equivalent of double insulation. Cables, expect when installed in conduit with sheaths of a tensile strength lower than what determined in AS/NZS 60079.14 which are commonly known as easy tear cables. Flexible cables shall not be installed in location requiring EPL “Ga” or “Da”, unless certified as part of the equipment. Where cables are secured to equipment or cable trays, the bend radius on the cable should be in compliance with the cable manufacturer’s data or be at least 8 times the cable diameter to prevent damage to the cable. The bend radius of the cable should start at least 25 mm from the end of the cable gland. Bunching of more than 6 conductors may also give rise to high temperatures that may exceed T6 and/or damage to the insulation and should be avoided (AS/NZS 60079.14). How conductor connections must be performed in hazardous areas? Conductor connections, with the exception of those in flameproof conduit systems, intrinsically safe circuits and energy-limited circuits, shall be made only by means of compression connectors, secured screw connectors, welding or brazing. Soldering is permissible if the conductors being connected are held together by suitable mechanical means and then soldered, so there is no stress on the connection (AS/ANZ 60079.14, section 6.6.6). If the method of connection is by soldering, a method of providing mechanical support of the completed connection shall be provided. The security of the joint shall not be permitted to rely solely on the solder (AS/ANZ 60079.7, section 4.2.2.5). What are spare core termination requirements in hazardous areas? The hazardous area end of all spare conductors shall be either earthed or insulated in the suitable terminals. If the hazardous area end is insulated in a suitable terminal then the safe area end must be earthed. All unused cores in a multi-core cable shall be either insulated from earth at each end by a suitable terminal or connected to the same earth that earths any other circuit in the same cable at one end. This would typically be at the associated apparatus but shall be insulated from any other earth and from each other at the other end of the cable using suitable terminals. All circuits feeding fittings in classified areas shall have both poles switched. Switch handles on distribution boards shall be padlockable in the “off” position. To allow work to be carried out safely, suitable means of isolation (for example isolators, fuses and links) shall be provided for each circuit or group of circuits, to include all circuit conductors including neutral. Labelling shall be provided immediately adjacent to each means of isolation to permit rapid identification of the circuit of group of circuits thereby controlled. The resistance of an equipotential bonding conductor for the earth contacts of socket-outlets, or exposed conductive parts connected to the same separated circuit, shall not exceed 0.5 Ω.